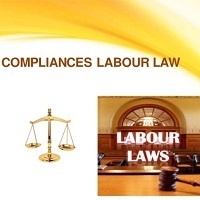 Are you searching for any Labour Law Consultancy services? Nutan Enterprise is a notable labour law consultant based in Alwar, Rajasthan. Our comprehensive services include licensing and registration, preparing payment challans, calculating periodical liability, documentation, maintenance of records, submitting periodical statutory reports, attending statutory inspections, corresponding with concerned officials and much more. We provide end-to-end services with the aid of most sophisticated software. Our dedicated team of professionals and highly experienced associates are capable of offering you quality and swift results.